Google Books has won the latest round in its seemingly never-ending copyright-fair use battle with the Authors Guild over digitization of books for use online. 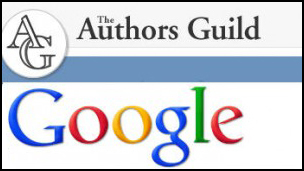 At that point, Judge Chin went on to decide that the Authors Guild and several individual authors could proceed with the case as a class action.11 That meant that the Authors Guild was allowed to act on behalf of every author affected by Google’s digitization, whether the author wanted to sue Google or not. That’s the decision the Court of Appeals has now affirmed. Snippet view adds important value to the basic transformative search function, which tells only whether and how often the searched term appear s in the book. Merely knowing that a term of interest appears in a book does not necessarily tell the searcher whether she needs to obtain the book, because it does not reveal whether the term is discussed in a manner or context falling within the scope of the searcher’s interest. For example, a searcher seeking books that explore Einstein’s theories, who finds that a particular book includes 39 usages of “Einstein,” will nonetheless conclude she can skip that book if the snippets reveal that the book speaks of “Einstein” because that is the name of the author’s cat. In contrast, the snippet will tell the searcher that this is a book she needs to obtain if the snippet shows that the author is engaging with Einstein’s theories. So… we’re genealogists. Why do we care about this stuff? We care for two reasons — and just as copyright law runs into conceptual problems because it tries to balance the interests of the public in having new works by protecting the interests of the creators of those new works, our two reasons can run head-on into each other and cause us problems too. On one hand, as researchers, it’s terrific that we can keep the access we now have to search out and find new sources from digitized works — even copyright-protected works — online. In many respects, it makes it far simpler for us to locate derivative works relating to our families. I can think of a dozen books I’ve bought in the last year or two simply because I could find snippets on Google Books that demonstrated the overall value of the books for work I was doing. The problem is that, for many researchers, it’s one single fact contained in the book that’s at the heart of the value of the book. It’s that one fact we might buy the book to find. A marriage date. A will location. A maiden name. Once we get that one fact, there’s no reason for us to buy the book as a whole. Without people buying books, exactly how are the specialty publishers going to stay in business? And without specialty publishers, how are new works of value to genealogists going to get published? And if new works of value to genealogists don’t get published, where are we? It may be that this problem is an inevitable side effect of the digital age, and that — like newspapers and magazines and a host of other publishers — genealogical book publishers and genealogical book authors will have to find a way to adapt or perish. But every one that perishes is a loss to our community. I totally agree Judy. Our field is specialized and many will find the 2 lines that pertain to their ancestor and be on their merry way, with no purchase. For me, that’s not how I would do it, because I am looking for context and for additional people. But I really worry about our favorite genealogical publishers. Not sure how they will “adapt” when THIS way of adapting has already been chosen for them. My guess is that methodology and overviews will remain publishable and list-oriented materials will go in another direction. Thanks for clarifying the decision today. I have had no problem with Google since I self publish. BUT, I did have a huge problem with FamilySearch.com. My books are ordered by many of the major libraries including Dallas, Fort Wayne, etc. A friend called me about a year ago and said “do you know all your books are on-line – in total?” I went to the site and there is listed about 100 of my 500 books and yes, they were totally shown, copyright and all. I finally found a live person and asked what was going on! He said they had copied these books (and thousands of others) at various libraries and were making them available for others. When I cited the copyright infringement, there was some hemming and hawing ending with my demanding that they ALL be removed within 24 hours or I would bring suit against them. They got all the links broken; now they just list the title and nothing more. This is my entire income as a retiree and I have worked since 1990 in gathering this data. It is NOT fair or right. Some works — regardless of the amount of time and effort spent gathering data — are not protected from copying, even if the person who prepares them claims copyright. A census list or set of census lists, a tax list or set of tax lists, might very well fall under the not-sufficiently-original rule of Feist Publications, Inc., v. Rural Telephone Service Co., 499 U.S. 340 (1991). I agree with you on your reply. However, many of the books they copied were family books – my family and others. This is where my complaint came from; it did include compilations on marriages, funeral home records, obituaries, etc. etc. But there are certain of my books that should be protected by my copyright surely! Absolutely on those, Sandi: no question whatsoever that your work product in that respect should have been completely protected. I, too, am concerned by this ruling. Although I’ve seen small articles here and there throughout the life of the lawsuit, though, there have never been enough details published to allow me to form what I consider an informed opinion (yes, I apply the Genealogical Proof Standard here!). I’m more worried about the full copies being made available to the libraries than I am about the snippets being available online. My optimistic view is that anyone who would buy the book looking for a single fact is going to require more than just the snippet. He or she will also want to see the citations, if nothing else. Or, if there are no direct citations (for presumably valid reasons), then the proof argument will be needed. Someone who isn’t looking for that level of detail probably would not have ponied up for the entire book in the first place. The appeals court addressed the concern about the libraries’ use of the copy made available to them, Dave, and concluded that if there is a violation it will be the fault of the library involved, not of the digitizer. And I think that’s the right call on that issue. It’s time to go fishing cause the court just opened a can of worms. Lets jump to the music industry. There is no infringement if I just use a snippet of an artists works to run in one of my commercials. Think I will use a snippet of Enya’s “Waterfall”. Wait, maybe a snippet from a just released movie. I can tell you right now, its gonna make some people real snappy! You’re not using it for the kind of purposes that the court approved there, Stan: you’re not helping people find music (the way the court said Google was helping people find content in books). You’re using the music to sell your product. Not allowed. But I’d bet if someone put up a website with snippets of music (think the samples in iTunes, for example), it might pass muster. If these snippets are legal for commercial songs, then it is hard to argue against the legality of snippets for books. Google changed their behaviour during the case. At the beginning, most of most books were available to view. The ruling seems to have effectively found that behaviour was not acceptable. But in the past year or two, Google reined in the size of extracts visible – to “snippets”. This is a win for authors of academic works on history and social history. However, as your previous correspondent mentioned, authors of genealogical works may have lost out in this judgement. Especially when years of working through many sources (at some expense) lead to a breakthrough conclusion that is expressed in a few sentences that can be quickly found online and copied. That is the concern: that just enough is disclosed that the authors no longer bother to write and publishers no longer bother to publish. I’m not sure I buy the danger to small publishers. Certainly, it is possible to see snippets that give a useful piece of data – if the snippet shows elements of a list, for instance. If it’s general text, I’m dubious – I don’t think I’ve ever seen a snippet that included “a few sentences”. Usually they stop at a cliff-hanger and I fail totally to guess the next words and thus see the next, adjacent snippet. If it is a list, and I do see all that I need – I don’t think that’s necessarily a lost sale. I seriously am not going to buy a book of lists on the off chance one of my relatives might be in it. Even if I know the topic is probably relevant, coverage of these books is seldom 100% of a defined population – in other words, there’s a major chance they won’t be in. So I’ll go to a library and look the book up there, not buy it. I don’t know how compelling the risk is… just that there is some risk. It is unfortunate that the trial court did not see fit to allow the negotiated settlement of Google and the Authors Guild to go forward in 2011. That settlement would have provided a framework for solving the problem of orphan works. This decision only allows the status quo to continue. The orphan works question really needs Congressional action — from a Congress that works. Which means it ain’t gonna happen any time soon. Dearest Judy – I’m no expert here. I’m just obsessed with my family tree. I know I don’t see the whole picture, but I really do fail to see the difference between finding the info via Google search and and finding it in a Library (which is where it came from). If I find it in the book in the library, I simply copy it down and take it home. If I find it via Google search, I copy it, and put it in my notes/tree without leaving my home. The ONLY difference I see is that the library purchased the book, Google didn’t but they “borrowed” it from the library. The author would loose no benefit ’cause I’m not gonna buy it anyway. What am I missing? In your case, you’re missing nothing. What the publisher wants to protect is the potential that some folks might not be like you but might actually buy the book.